I believe parenting (like every other thing) is an ever learning process, and what works for me, might or might not work for you. Here I’ve listed down few small changes which might affect my parenting in a huge manner positively. Work on my patience and try to keep my cool: Before she was born, I was an extremely cool person, but motherhood changed it. I’m Human, I get irritated and yell at The Toddler, I hate it but I end up doing it. I definitely do it in a controlled manner, I know my limits as a parent. Still I feel pathetic and I want to change this bit. Become/Stay Healthier: this means working out, losing weight. Try to spend some quality time with Medha… reading books, crafts, puzzles etc. Take Medha to zoos, botanical gardens, parks, and help her explore open spaces. Try to improve my work-life balance. This would ensure when I work I give my 100% there and when I’m with The Toddler I am totally with her. Make an effort to look better. I feel better when I look better and it will affect my mood and my behavior. Keep Medha's wardrobe clatter free. If our wardrobe is clean, I would obviously be in a better mood. I would need less time to fetch her cloths and can get more time to dress her and get ready. Sleep on time and get up before Medha gets up. Generally she wakes me up. This is because I work till late night as some of my day time would go off with her work. So I want to go early to bed and get up early… this would ensure I’m healthier as well. 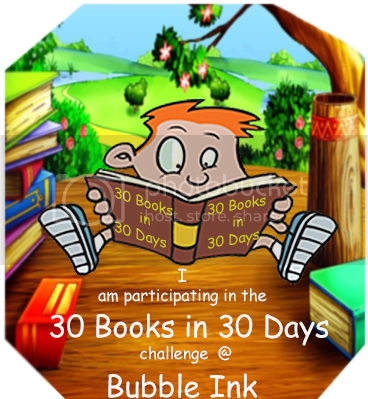 Read more books, and get more for Medha .